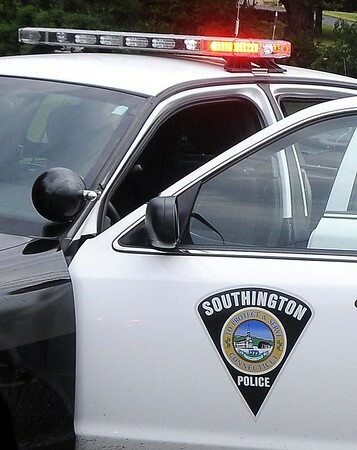 Richard Hancock, 44, of 10 Pebble Drive, Newington, was charged Aug. 10 with disorderly conduct, third-degree assault and first-degree sexual assault. Abdulsatar Sulaivani, 29, of 256 Austin Road, Waterbury, was charged Aug. 11 with sixth-degree larceny. Jessica Adams, 34, of 1750 Waterbury Road, Cheshire, was charged Aug. 12 with sixth-degree larceny. Pablo Feliciano, 48, of 345 Buckland Hills Drive, Manchester, was charged Aug. 13 with possession of narcotics with intent to sell, possession of drug paraphernalia and probation violation. Sandra Barlok, 65, of 8 Second St., Bristol, was charged Aug. 13 with sixth-degree larceny. Rebeka Reid, 30, of 58 High St., Naugatuck, was charged Aug. 13 with failure to fingerprint, interfering with an officer and two counts of second -degree failure to appear. Aldo Figueroa,44, of 45 Plum Orchard Road, was charged Aug. 14 with second-degree breach of peace. Jessica Seneschal, 34, of 509 Church St., New Britain, was charged Aug. 14 with criminal attempt to commit sixth-degree larceny. Shamel Scaife, 25, of 16 Hawkins St., Waterbury, was charged Aug. 15 with second-degree breach of peace and second-degree threatening. Adrian Valentin, 41, of 520 South Main St., Waterbury, was charged Aug. 15 with conspiracy to commit fifth-degree larceny and failure to obey traffic signal. Torrey Oleary, 39, of 33 Hemingway St., Plainville, was charged Aug. 15 with possession of drug paraphernalia. Miguel Colon, 21, of 97 Pearl Lake Road, Waterbury, was charged Aug. 15 with possession of drug paraphernalia. Shantal Rosa, 25, of 435 Bradley Ave., Meriden, was charged Aug. 15 with sixth-degree larceny. Kathryn Ford, 32, of 54 Turner Ave., Oakville, was charged Aug. 16 with illegal possession of a controlled substance, possession of drug paraphernalia and illegal possession of prescription drugs. Carrie Weilandt, 54, of 45 Westbrook Road, Plantsville, was charged Aug. 16 with second-degree breach of peace. James Allen, 30, of 124 Federal St., Bristol, was charged Aug. 16 with attempted home invasion, third-degree criminal mischief, second-degree breach of peace and two counts of violation of a protective order. Anthony Jewett, 57, of 23 Darling St., was charged Aug. 17 with reckless use of highway by pedestrian. Posted in New Britain Herald, New Britain, Southington Herald on Monday, 27 August 2018 20:59. Updated: Monday, 27 August 2018 21:01.